One of the most important accessories for yoga is the yoga mat, which provides a padded (and often sticky) surface for your practice. 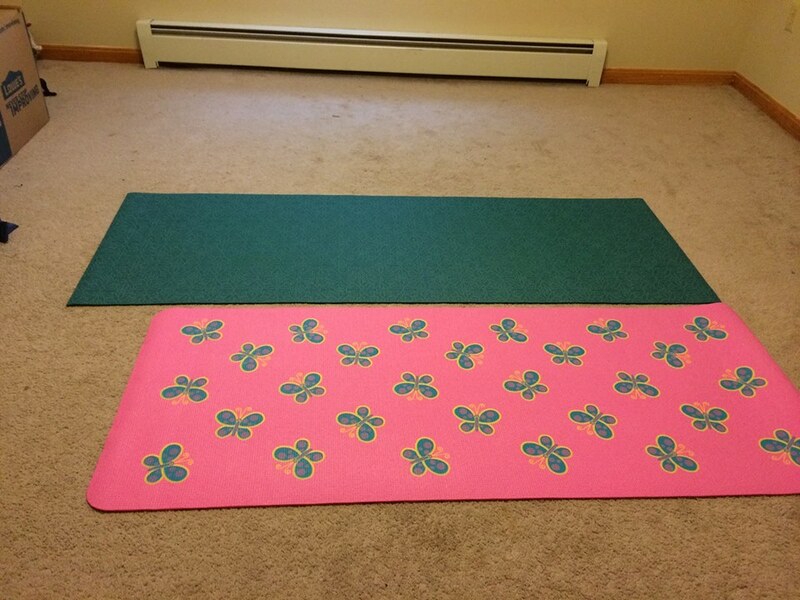 There are as many types and brands of yoga mats out there as there are practitioners. 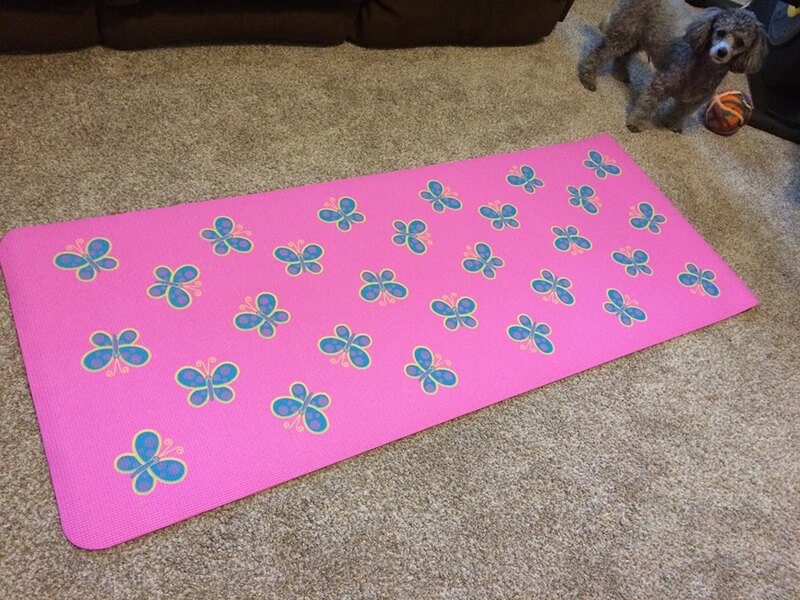 When recommending a mat for students I suggest that they choose a mat that is appropriate for the type of practice they wish to use it for (do they prefer restful gentle or restorative classes or perhaps sweaty vinyasa or heated classes? ), is of an appropriate material (does the student have a skin allergy, environmental concern, etc) and that inspires them to practice. Since my first yoga class, a power yoga class at a local dance studio back in my junior high school days, I have used mats that are too long for my body. While the long mat did not hinder my practice, with every new mat I purchased I longed to find a mat that fit my body and represented me. After one of my favorite mats recently began falling apart I started searching for a new mat, and found exactly what I was looking for- a thick, eco-friendly and chemical free mat that is a full eight inches shorter than a standard mat. As if it was meant to be, the only one in stock at the time I was placing my order was covered with a butterfly pattern- the symbol for Turner’s Syndrome! It seems as I have finally found MY mat.